Delbert is a long time and frequent customer and today he brought his buddy Dave from Alaska. 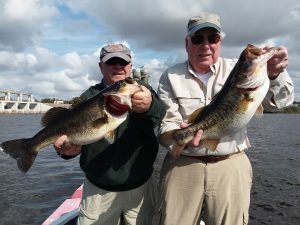 These guys caught 50 or so bass with 10 fish over 5lbs and 20 fish over 4lbs. The fish are in full on spawning mode and they are eating like crazy! 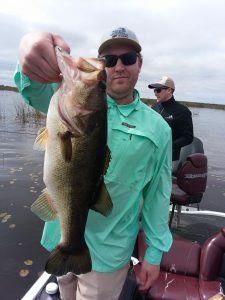 The fishing ought to continue to get better and better throughout the Spring. These guys are booked for another trip tom. Hopefully we can pull out some Okeechobee Bucket Lips. 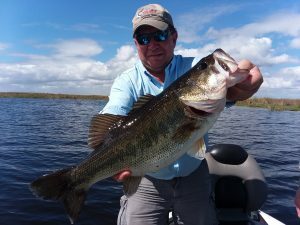 Okeechobee Fishing Guides will work hard each and every trip to catch you the biggest and most fish. Joe Marino and his son Joe Jr. came down from the North East to fish with us this week and it was just amazing! 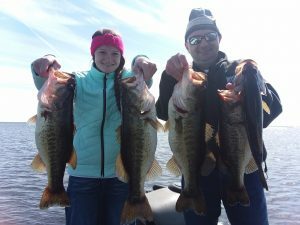 Cold water and big fish is what we found with several fish over 5lbs. and 1 6 lb. 2oz. 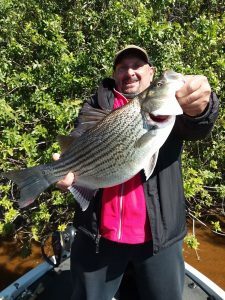 Sunshine Bass which is a hybrid Striper and White Bass mix. 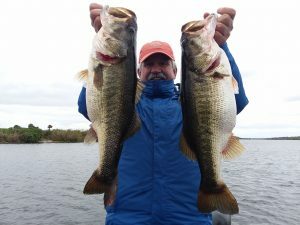 These fish can get up to 15 lbs but the biggest I have heard of in the lake is 11lbs. These fish fight super hard and don’t ever give up. 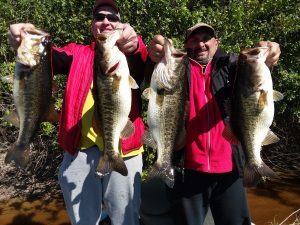 The weather is supposed to change next week so fishing should continue to heat up. 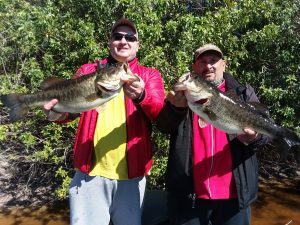 These guys both caught their personal best bass what a day! Come on down and join us! 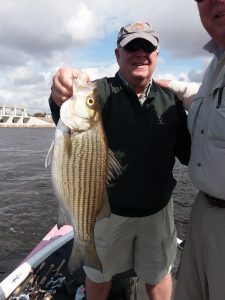 Mike Mitchell from Colorado came back down to fish with us for the next couple days and this was a great start to the trip! Mike is a Marine biologist and studies fish and their spawning patterns. 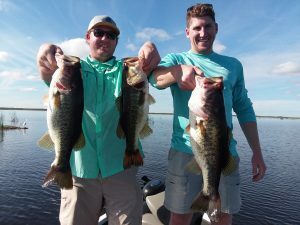 It was very interesting to learn about the differences in the Northern strain Largemouth and the Florida strain Largemouth their differences and similarities. We caught several BIG fish today and our 5 fish total weight would have went around 31 32 pounds. This weekend there will be around 250 boats fishing all over the lake with the FLW tour so I am looking forward to seeing some BIG bags this week as well. 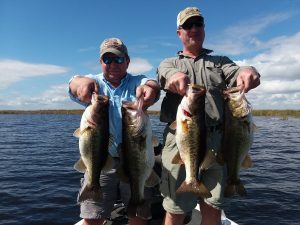 Okeechobee Fishing Guides will work their best to try to keep you on the fish and get you the fish of a lifetime!